A man and a teenage boy have been found guilty of murdering a man whose body was found in a supermarket car park. 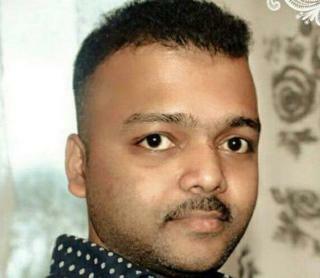 Suren Sivananthan, 32, was found near the Co-op in St Leger Drive, Great Linford, Milton Keynes, on 21 January. A jury at Luton Crown Court unanimously convicted Gnanachandran Balachandran, 38, from Milton Keynes while a 17-year-old from Croydon, who cannot be named, was convicted by a 10:2 majority. The case was adjourned for sentencing on a date to be fixed. A third defendant, Prashanth Thevarasa, 24, from Milton Keynes was convicted of causing grievous bodily harm with intent, also by a 10:2 majority. But a fourth defendant Kiroraj Yogarajah was acquitted by the jury of five women and seven men at Luton Crown Court. Earlier in the trial, the court was told that the victim, who was on a visit from Canada, had been staying with Balachandran's estranged wife in Milton Keynes. Sri Lankan Balachandran snatched his "rival" from a Milton Keynes shopping centre and kept him captive for 12 hours before beating him to death. The jury heard that when Mrs Balachandran called Mr Sivananthan's phone, her husband answered and said: "Why are you asking where he is? You can't live with your husband and so you take someone else. You are a bad person. "You will see what I do to him." The badly beaten body of Mr Sivananthan was found by a parade of shops in Great Linford at about 04:00 GMT on 21 January. He had received 39 separate injuries to his head and neck, plus bruises on his arms, legs, back and chest. A post mortem showed he died from sustained blunt force trauma to the head, which resulted in a brain injury.